Who can resist a love story begun over a sunset, underneath the stars or simply somewhere so wild and remote that only awe and wonder can follow? Africa is a grand stage where nature’s greatest shows take place in places so beautiful you can hardly believe they’re real. No matter how hardened of a traveller you are, how cynical and world-weary, these seven destinations won’t fail to awaken something hidden and old and, in many a case, make you fall in love with Africa. 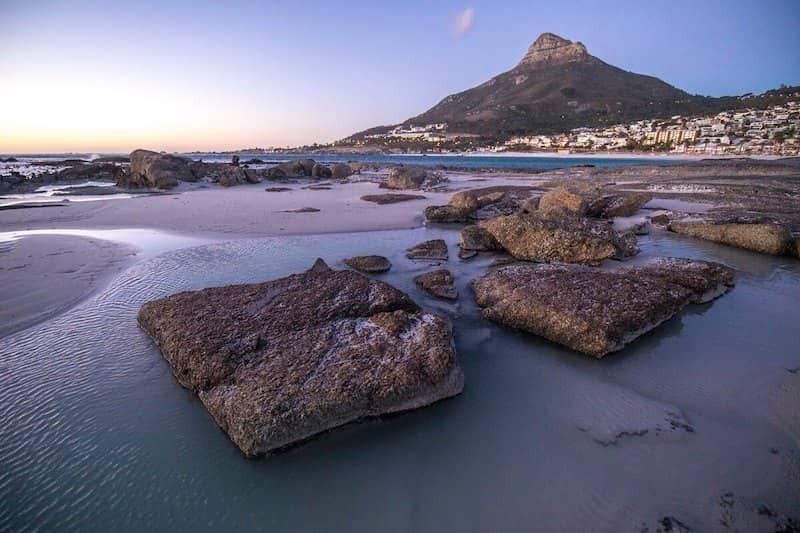 There’s a reason Cape Town’s always on the lips of would-be travellers. 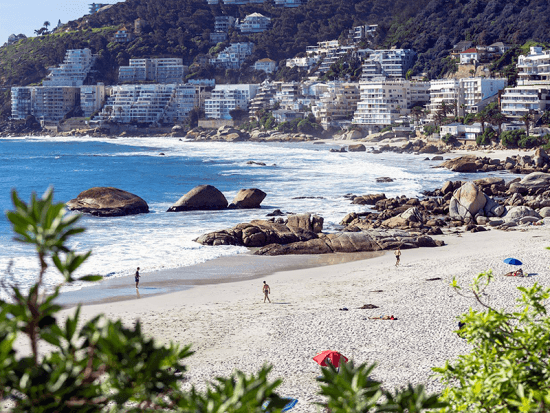 Why, it’s virtually unheard of to venture to the southern parts of the continent without a visit to the Mother City. 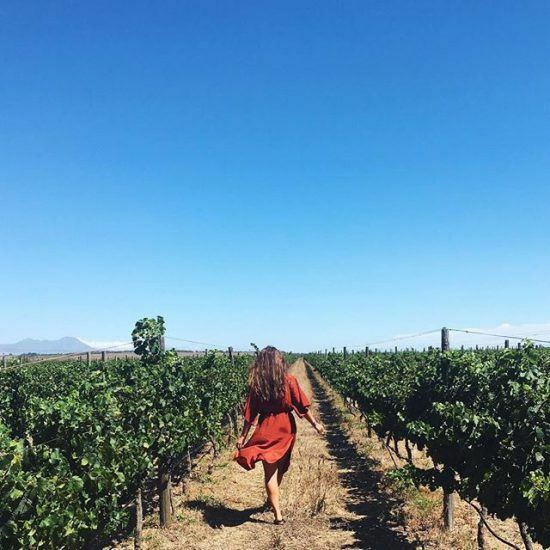 A port city set on a peninsula, that boasts an iconic flat-topped mountain, a breathtaking region of wine-producing valleys and beaches that are a leisure and water sports lover’s dream, it’s almost too much destination to conquer over a single trip. 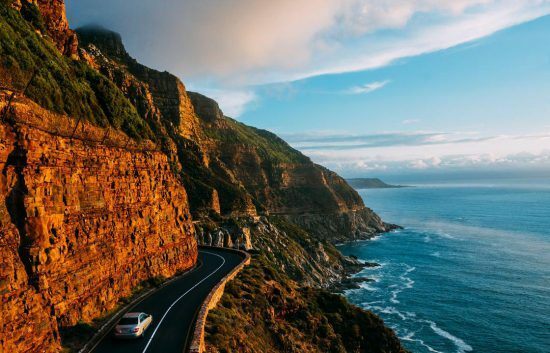 Landmarks such as Robben Island, lively boardwalks lined with chic nightclubs and bars, award-winning restaurants scattered all over (as seen in our updated guide to restaurants in Cape Town and the Winelands) and the soul-stirring vistas of the Garden Route are only the beginning – who on earth could resist? One of the last remaining pure wildernesses in the world, The Okavango Delta is Botswana’s iconic wildlife haven and inland delta with incredible wildlife populations. A Wetland of International Importance (RAMSAR site), its unique ecosystems nurture a great diversity of animal and birdlife and is so pristine and remote as to be a true wonderland. Each year, large numbers of animals retreat from the dry interior towards the Delta’s floods. Buffalo, elephant, zebra and vibrant wildebeest flock to these water sources, creating prime hunting ground for predators. By dugout canoe (mokoro), the Delta becomes a game viewing paradise. 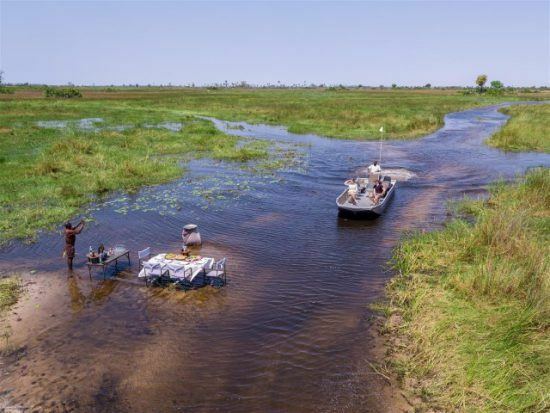 In the Dry Season (between May and October) when the flood waters have made their way down and the Delta has doubled in size, that’s when the true spectacle begins and when many may just fall in love with Africa. A picture couldn’t possibly capture the grandeur, the scale, the majesty of the Victoria Falls. 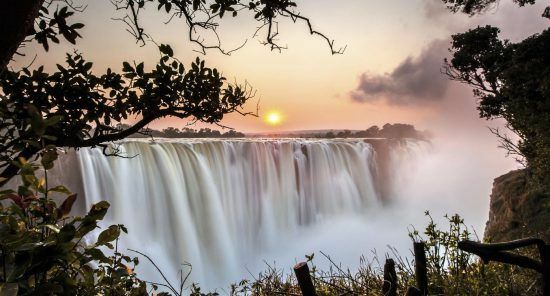 The largest waterfall in the world, thanks to the unbelievable amount of water crashing over its crags, its signature rumble and infamous smoke announces its presence from far and wide, one of 10 reasons why Victoria Falls Is Africa’s greatest natural wonder. 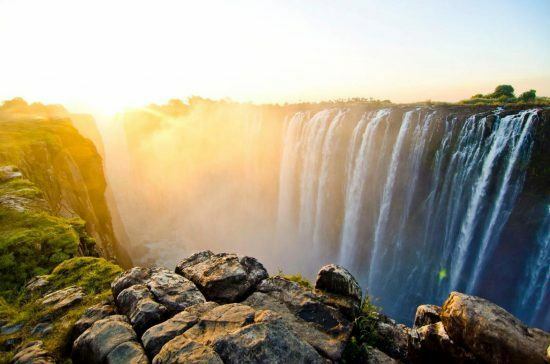 Because it’s become one those automatic stops on a Southern African holiday, it’s easy to dismiss the Vic Falls as just another overrated tourist haunt but once there you realise that its fame is warranted and that nothing could’ve prepared you for that first encounter. If you find yourself in the south of the African continent, you would be remiss to miss out on a chance to experience for yourself one of the most deservedly iconic destinations on the continent. The Namib Desert, situated between the Atlantic ocean and the barren centre of the country, is considered to be the oldest desert on earth. Dried out lake plateaus, towering dunes and the iron-rich red sand dominate the landscape. Anyone who thinks that the desert is hostile to life is wrong. 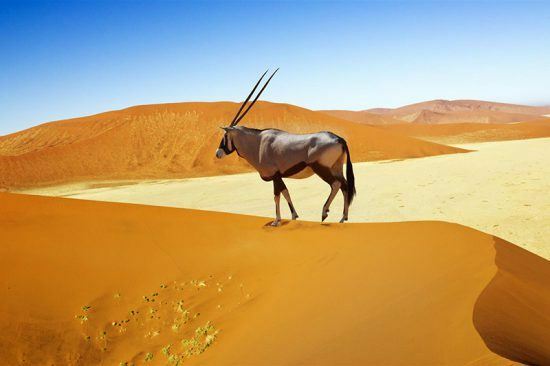 Here, too, oryx antelopes roam the dunes, reptiles and insects thrive, and jackals survive on carrion. The region is famous for the “Little Five” – gecko, chameleon, spider, lizard and snake. In the southern part of the Namib, visitors can expect one of Africa’s most beautiful photo opportunities. 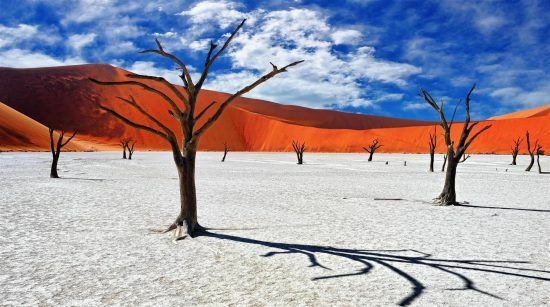 Sossusvlei and Deadvlei are salt pans surrounded by huge red sand dunes, which results in a dreamlike spectacle of hues and lines. The colours and shadows of the dunes, as well as the glaring earth of the pans with scatterings of dead trees, is purely an aesthetic wonder. 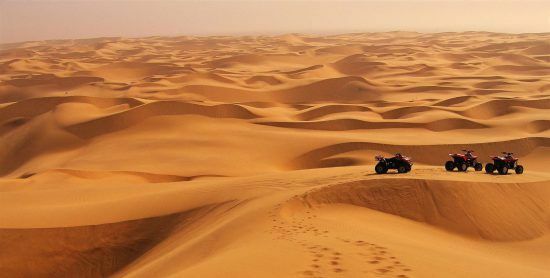 If you want to have the best view, you can climb the dunes, which are up to 388 meters high, and capture the perfect sunset to make you fall in love with Africa. 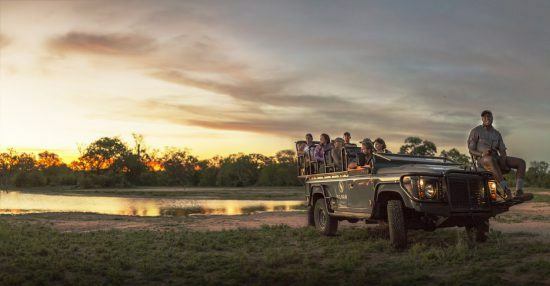 One of the oldest and most beloved wildernesses in South Africa, the Sabi Sand is considered the birthplace of sustainable wildlife tourism in Southern Africa and one of its best safari destinations. 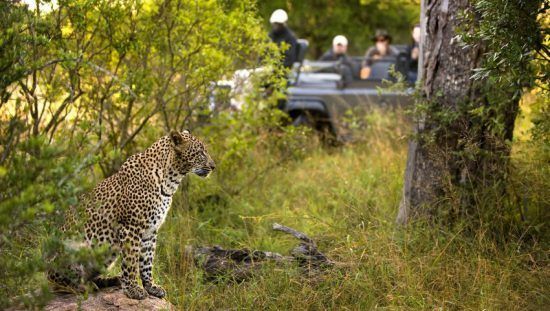 An abundance of species live in this 65, 000-hectare landscape that’s divided into privately owned concessions, allowing for an immersive and intimate safari experience. 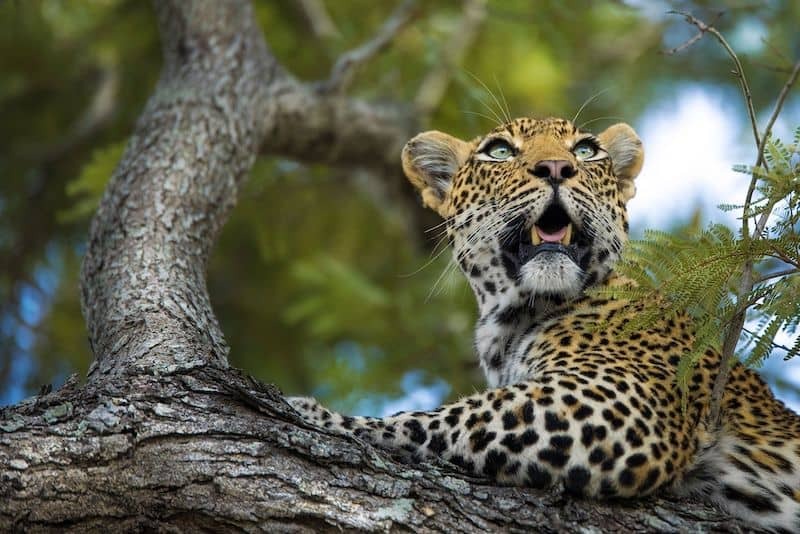 Here, leopard sightings, virtually the stuff of legend, are common. These famously elusive creatures are so accustomed to cars that they are often seen in plain view and have even been known to hunt in the presence of a safari vehicle. 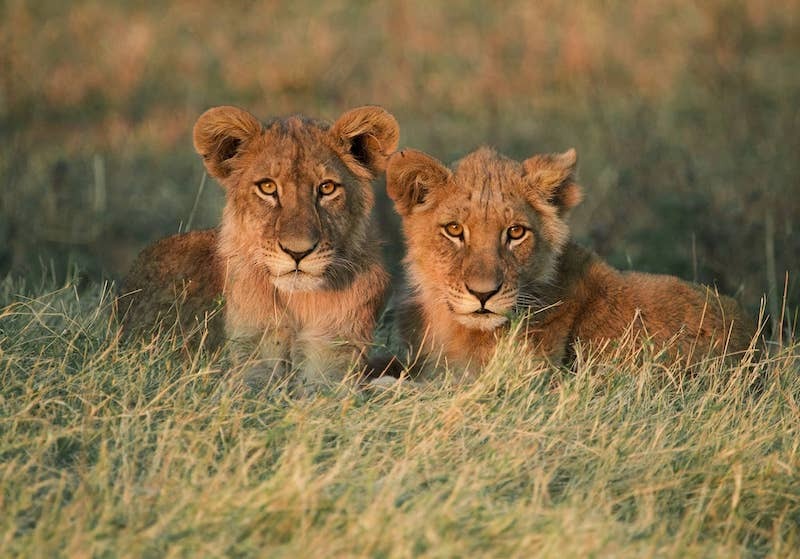 The Sabi Sand is also one of the best places in Africa to view the Big 5 in its natural habitat. 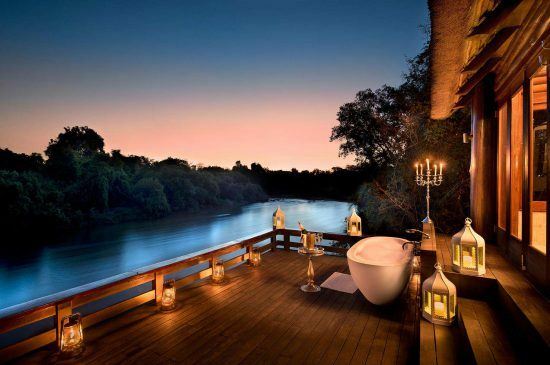 From one of the handful of exclusive luxury lodges in the reserve, guests can enjoy unparalleled exploration, tailored service and unmistakable silence and reverence of the African wild. 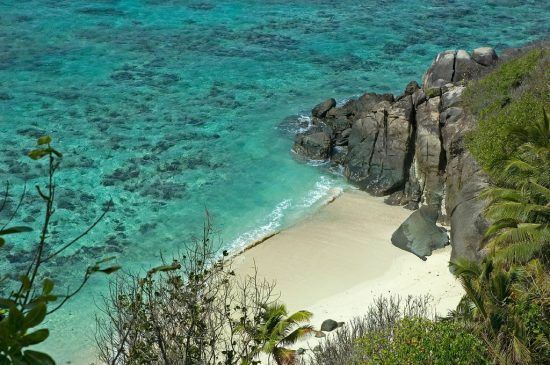 If a remote island is your idea of paradise, you’ll find few as pristine, secluded and idyllic as Seychelles. 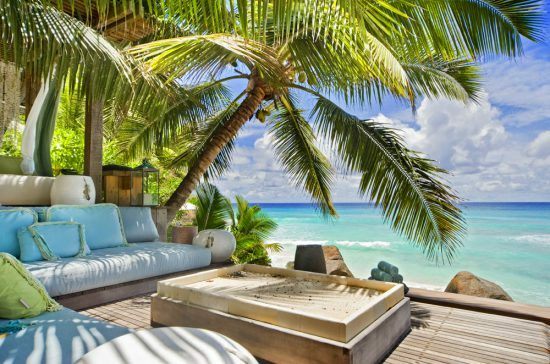 Situated in the west of the Indian Ocean, off the east coast Africa, Seychelles is an archipelago made up 115 islands. These granite and coral islands are renowned for sandy white beaches, lush forests and warm azure ocean, with some of them being the oldest mid-oceanic granite islands on earth. 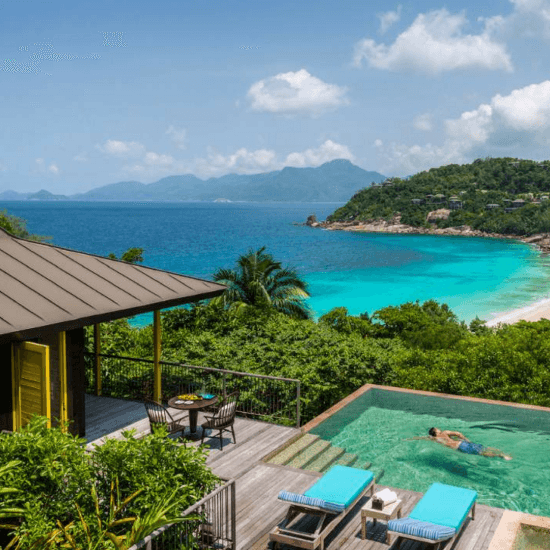 Seychelles is truly a place like no other. Its dazzling waters contain unspoiled coral reefs, tropical fish and diverse marine life (one of 6 reasons you should visit Seychelles). It’s also home to two UNESCO World Heritage Sites — the legendary Vallée de Mai on Praslin where the wondrously shaped Coco-de-mer nut grows and the Aldabra of legend, the world’s largest raised coral atoll first seen by the early Arab seafarers of the 9th century A.D. It is, after all, a sanctuary for some of the rarest species of flora & fauna on earth, what with 50% of its landmass being protected as national parks and reserves. 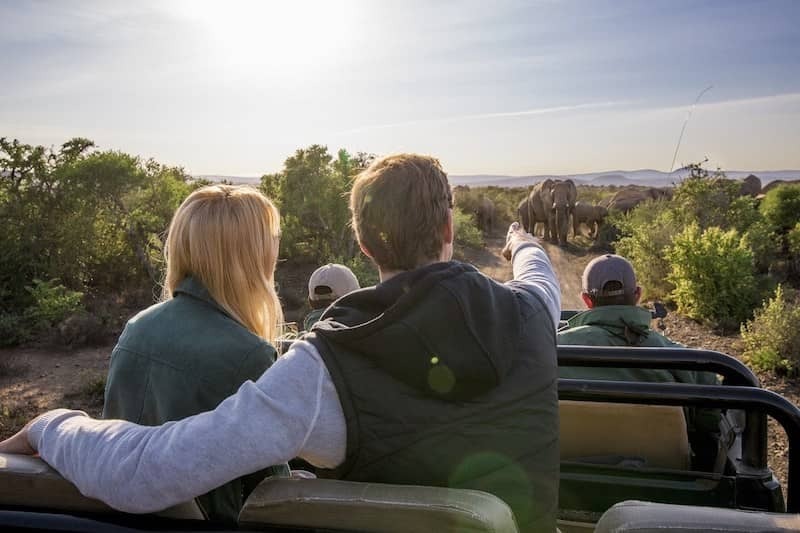 This picturesque haven and popular honeymoon destination is the perfect place to fall in love with Africa and over and over again with your significant other. 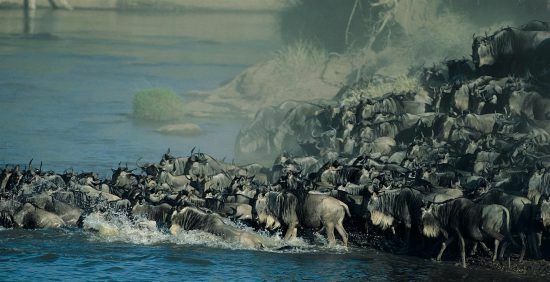 If you’re looking for the classic safari as seen in the cinematic epics of old, there’s no better place than Serengeti National Park where the annual Great Migration takes place. A wilderness spectacle like no other, millions of wildebeest and zebra traverse these lands in search of sustenance with predators, such as lion, not too far behind. The Serengeti’s grasslands make it ideal for viewing kills and mobile camps that follow the course of the migration offer incredible sightings! 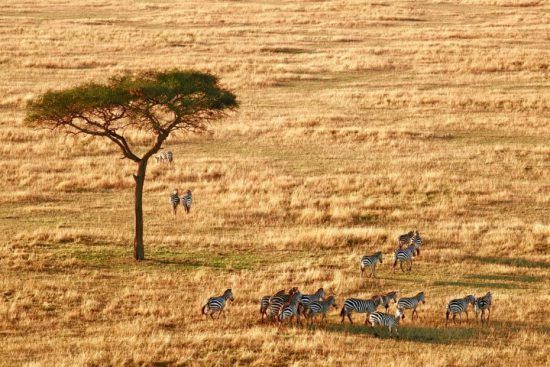 Derived from the Maasai word “siringiti”, which means “endless plains,” this park rests on raised platens between the Ngorongoro highlands and the Tanzania/Kenya border, extending almost to Lake Victoria. Here, a diversity of grassy plains, Savanna and vegetation stretches endlessly, only to be broken up by acacias, wooded hills and mountainous backdrops. 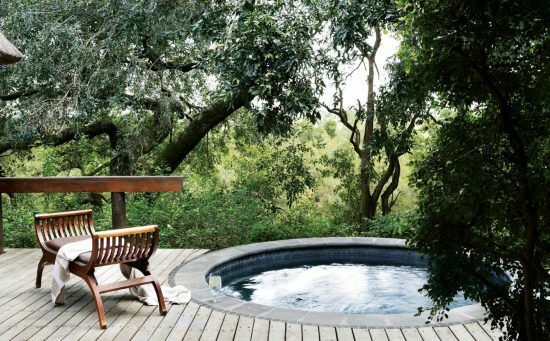 This near-perfect wilderness is also home to the Big 5 and exclusive lodges that provide the ultimate safari away from the crowds experience. 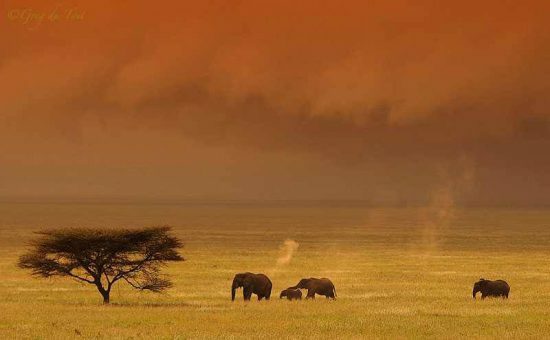 Fall in love with untouched Africa! 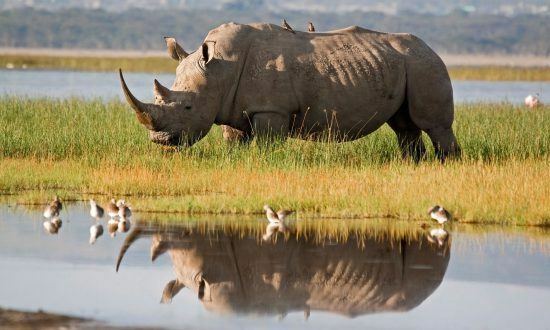 Get in touch with one of Rhino Africa’s travel experts today and start planning the trip of a lifetime to include these destinations and more.